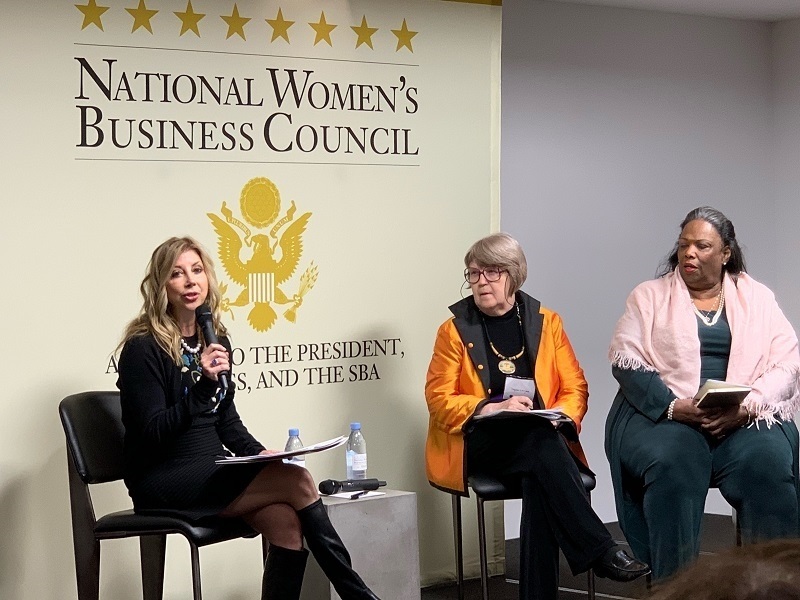 October 23, 2018, Irvine, California – Loreen Gilbert, founder of WealthWise Financial Services, www.wealthwisefinancial.com and NAWBO Institute for Entrepreneurial Development Board Chair, was asked by the National Women’s Business Council, Advisors to the President, Congress and the SBA, to moderate a panel of historical trailblazers celebrating the 30th Anniversary of the Women’s Business Ownership Act, H.R. 5050. The panel is called NAWBO Presents: ‘Trailblazers of H.R. 5050’. Thirty years ago today, President Reagan signed HR 5050 and it became the law of the land. At that time, women owned businesses accounted for an estimated five percent of all U.S. businesses and the public perception was that they were home-based, generating annual revenues of no greater than $10,000. Today nearly 40 percent of all U.S. businesses are women-owned and revenues exceed $1.7 trillion. About Loreen Gilbert, Founder and President, WealthWise Financial Services, Inc.
Loreen Gilbert is an experienced wealth manager who has spent more than 25 years creating comprehensive wealth strategies for her clients. Upon graduating from the University of Texas at Austin with a degree in Business Administration, she launched her career at Fidelity Investments where she assisted clients with investment management services. Gilbert then worked for a private company selling retirement plans to municipalities and their employees. She has been in private practice as a wealth manager since 1997 and is the founder and president of WealthWise Financial Services, which offers securities and investment advisory services to individuals, business owners and corporations through her affiliation as a registered principal with LPL Financial. Loreen Gilbert is a registered representative with and securities offered through LPL Financial, FINRA/SIPC member.